Ferrari team boss Maurizio Arrivabene said his team would never be 'crazy' enough to take a safety risk with its strategy, as he defended its one-stop approach to the Belgian Grand Prix. 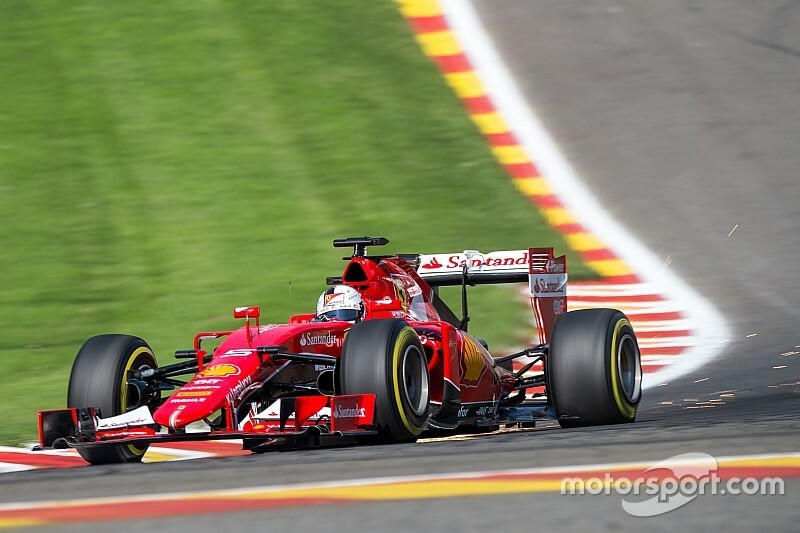 Sebastian Vettel was fighting Romain Grosjean for third place when his right rear tyre failed on the straight after Eau Rouge on the penultimate lap, prompting a post-race outburst from the four-time world champion. Pirelli has suggested that the failure was caused by high wear levels, with Vettel's tyre having done 28 laps beforehand. But Arrivabene denies that Ferrari took any kind of gamble with the wear by opting for a one-stop race. "When we do the strategy, the strategy was absolutely right – the one stop. I want to clear that up. When we do the strategy we do the data and the data is based on the strategy," said Arrivabene, well aware of Vettel's response to the situation. "When you are one and a half laps [from the chequered flag] and you can see the third position and you are about to lose it suddenly, of course you are disappointed. "But I tell you normally, the strategy – even if it is aggressive, it is based on clear data that you have. You are not so stupid or so crazy to take a risk for the driver if you are not reading quite well the data. "Don't worry. Our job was done." Arrivabene said there had been no indications of safety concerns from Pirelli before the race, and no worries during the grand prix that a one-stop would be marginal on wear. The decision to run a one-stop was taken on Sunday morning. "It was our strategy, plan A," he said. "It was the main plan before the race and we decided that at 11am this morning. Precisely. And normally when you do the strategy during that time in the strategy meeting, it is based on data." When asked if there had been any indication from Pirelli about potential risks of running a one-stop race, he said: "No. I can show you the data." He added: "We have an engineer, all the teams have an engineer from Pirelli – and what do you think that engineer is doing? He is not there to eat chewing gum. "He is there to check the tyres, to follow all the rounds you are doing and to look the data." Arrivabene also refused to get involved in criticising Pirelli for what happened. "I don't want to start with this story going back and forwards: Maurizio said about Pirelli, Pirelli said about Ferrari etc. No. "The race is gone and I understand the reason why, as you understand, Seb was disappointed. "That is it. I don't want to open any kind of fight because it is not the case."